We have until today to buy the vegetables and help the farmers! (SPOT.ph) An overabundance of vegetables yet again forced farmers to dump their excess supply recently, and this time, the oversupply occurred in Benguet. The vegetables were supposed to have been harvested in December, but the monsoon rains and the typhoon caused a delay, so the vegetables were only harvested earlier this month, swamping the trading posts. 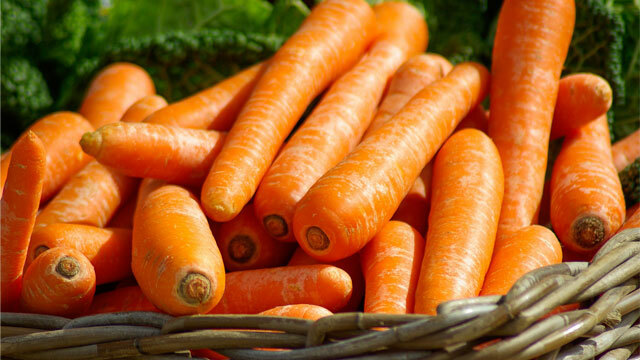 The oversupply caused a drop in prices and farmers have been forced to dump their stock, with one farmer dumping a ton of carrots due to the low demand. Carrots were only selling for P1 to P7 per kilo, and potatoes were sold for P15, which normally is at P15 to P50. Other stated problems are that fewer buyers go to the Benguet Agri Pinoy Trading Center, where farmers are directed by the local government to deliver their produce, and also the lack of crop programming suitable for the region. The supply has since returned to normal because farmers have stopped harvesting, but the vegetables that have already been harvested are still available. An initiative to help the farmers get rid of their stock and avoid waste was recently started in response, and the vegetables can be ordered through Session Groceries until today (also check out the Session Groceries website). They will be shipping the orders to Manila and Pampanga via bus, and they’re still looking for ways to ship the vegetables to Batangas, Cavite, and Laguna.